Looking for the best holiday apartments in Prague? We’ve got you covered! 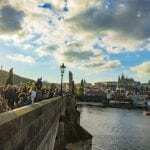 Prague is a prime destination for backpackers, families, and business travelers in Europe. As such it is filled to the gills with various hostels, hotels, and accommodation options. So many, in fact, as to be overwhelming. It can be twice as hard to find holiday apartments in Prague. No worries though. We have been living in Prague for the last 6 months and we did the leg work for you! 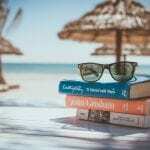 We visited each of these hotels, and more besides, and decided to feature our favorites to make life easier for you guys. First things first, however. When traveling on a budget we usually recommend staying in a hostel. There are many great hostels in Prague. That said, if you have the budget for it, or are traveling with a group of 4 or more, a hotel apartment is a great way to get the privacy and comfort of home combined with the service and convenience of a hotel. Sure, you can potentially score a sweet apartment on Airbnb, but most of the apartment rentals in Old Town Prague are incredibly over priced (if you ask us), and if you are in town for a short time having a front desk to arrange things for you is a sweet bonus. Each of the holiday apartment rental options we have chosen is unique. There are options for luxury travelers, weekend girlfriend getaways, flashpackers, business travelers, and even families traveling with children. 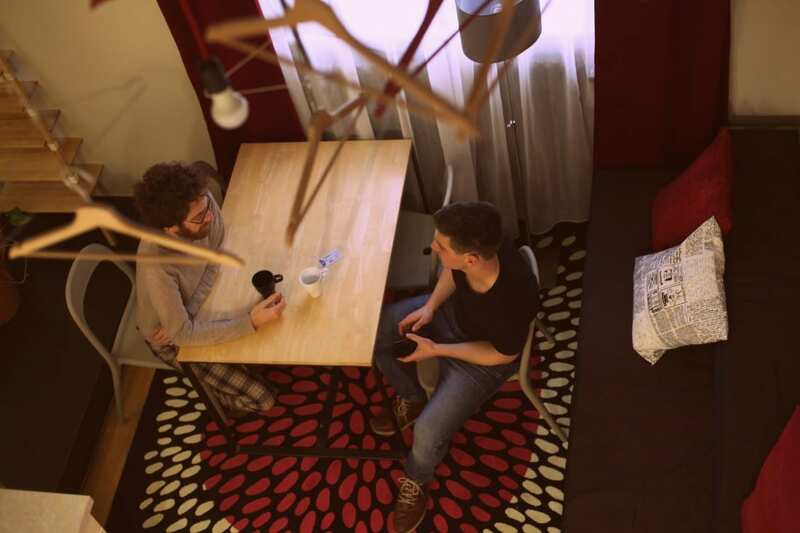 No matter their differences, they are all great choices for anyone looking for a short-term apartment rental in Prague. These are probably the most affordable and convenient luxury apartment rentals in Prague that we had the pleasure of visiting. MOOo Apartments are located in a beautifully reconstructed Art Nouveau building that dates back to 1907. The interior style of the apartments is “urban meets countryside”. There are 23 luxury apartments to choose from; ranging from one bedroom apartments to a swanky deluxe penthouse. 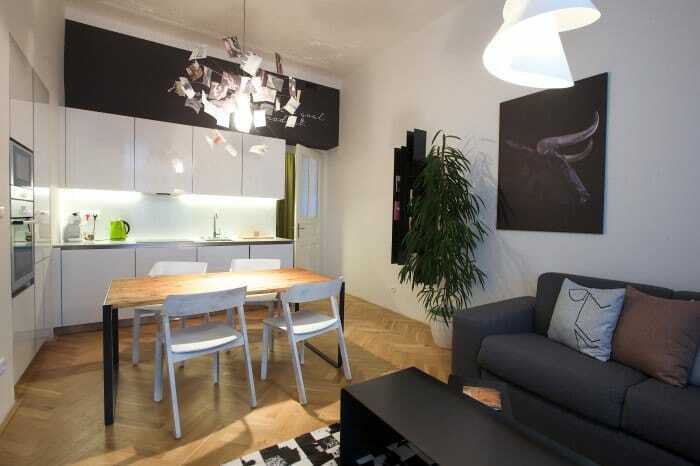 MOOo has something for everyone looking for a luxury private apartment rental in Prague. Each rental apartment is outfitted with a kitchenette, has a cozy living room, dining space, private bathrooms, super comfy beds, and plenty of natural light. Each apartment has custom-made furniture, a really nice touch that we very much enjoyed. 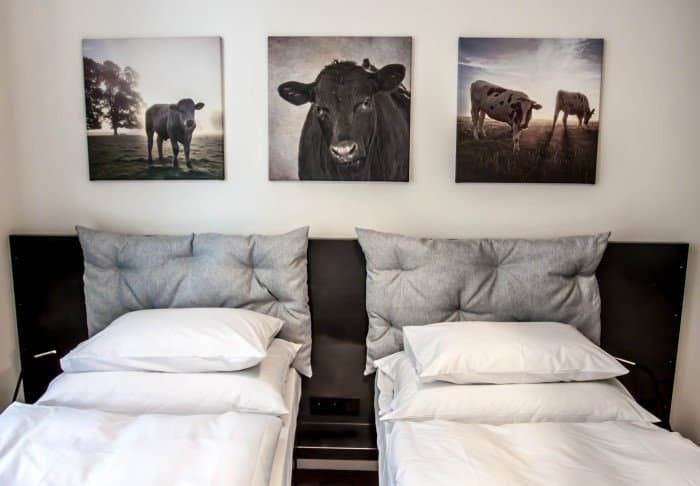 On top of that MOOo offers WiFi, concierge service, tour bookings, bicycle rentals, airport transfers, a 24-hour reception desk, and complimentary bottle of champagne upon arrival. The apartments are located across the street from one of the best hostels in Prague, Mosaic House, where guests have access to an affordable restaurant and rocking bar. 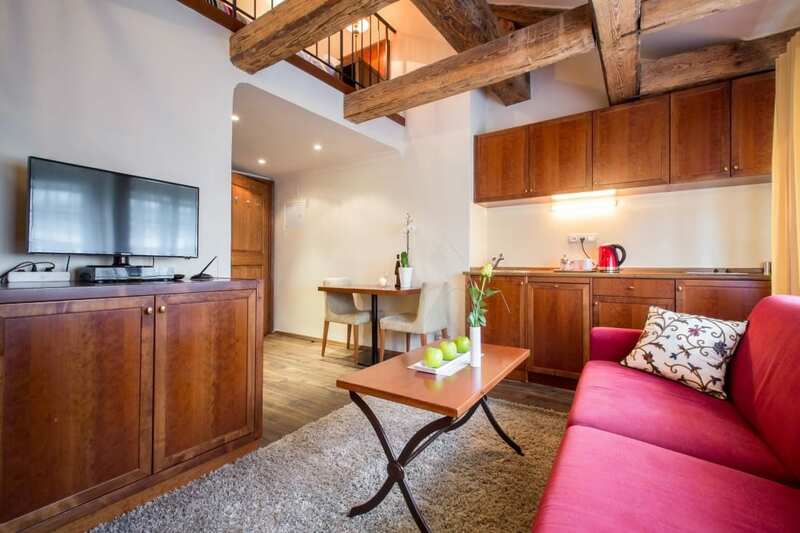 MOOo Apartments are perfect for business travelers, those traveling with friends or children, or anyone who wants to enjoy the swankiness of a luxury rental apartment in Prague. Bonus for being within 5 minute walking distance of Prague’s Old Town. 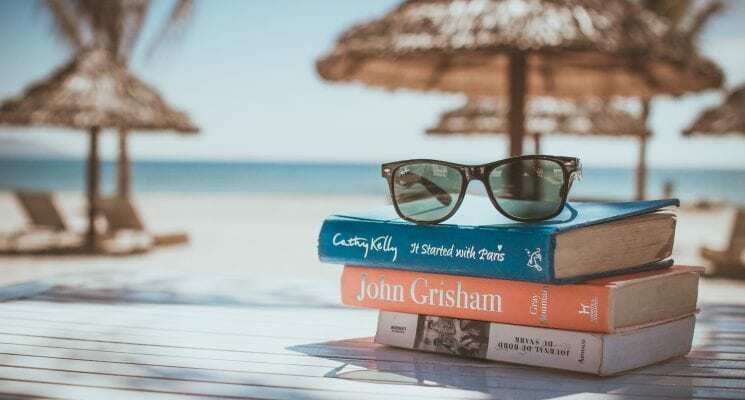 Apartments start at around €80 in low season (which is November throughout April, excluding Christmas, New Year, and Easter) and €180 in high season. Want more info about MOOo? Click here for reviews and details. 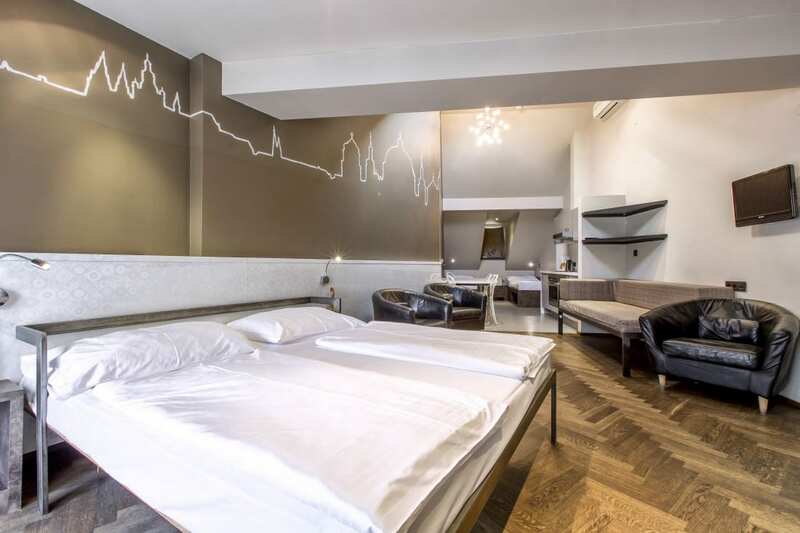 One of the best hostels in Prague, the Czech Inn, has two apartments available for visitors who seek all the benefits of staying in a lively hostel while enjoying the privacy and comforts that come along with an apartment. Each apartment can accommodate you and four of your friends. They all have a kitchenette with a refrigerator, stove top, tea kettle, and cookware. The private bathrooms have rain dance showers, hairdryers, towels, and toiletries. Basically, everything you need. Czech Inn is a beautifully decorated hostel with loads of socializing options. Movie nights, quiz nights, and live music in the Basement Bar all make potential socializing with our travelers so very easy. 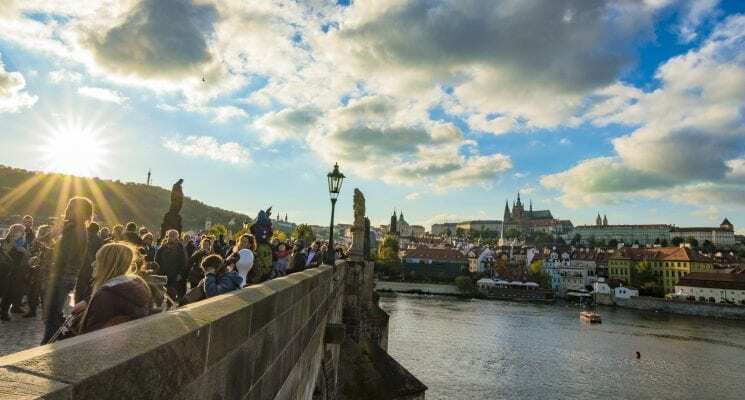 Czech Inn is located in a trendy neighborhood just outside of the city center (ten minutes by tram), which will give visitors the opportunity to experience a bit of Prague off the beaten path. As such we think it is safe to say that the Czech Inn offers two of the most potentially epic holiday apartments in Prague. Prices start at €70 in low season and €120 in high season. In addition to private apartments, the Czech Inn also offers guest the option to stay in one of its premium dorm rooms. The mixed or female-only rooms have shared spaces including a kitchen, living room, and bathroom, and have roof-top terrace access. With the guarantee that you’ll never get stuck on top bunk (because there aren’t any) budget travelers can enjoy the comforts of an apartment without foregoing the social interactions that dorm room afford. Beds start at €14 in low season and €25 in high season. Click here for more info or here to book your stay at CzechInn. Sophie’s Hostel, a favorite among female travelers in Prague, has six stylish apartments that are perfect for a weekend getaway with friends. Each apartment can accommodate up to 5 guests and come equipped with WiFi, a kitchenette (some with ovens some with microwaves), designer bathroom, and ultra comfy beds. Additionally, the rooms have air-conditioning, a safe, rain head showers, toiletries, and hairdryers. We suggest requesting the fifth floor apartments when booking. They come with a queen and three single beds, an oven, and bathtub. Sophie’s Hostel offers guests alternative neighborhood tours, an amazing homemade breakfast, a quaint garden, and a communal vibe. Low season prices start at €70 and €115 in high season. Split 5 ways those prices are among some of the best you will find in Prague for what you are getting! Amazing deal as far as the holiday apartment in Prague scene is concerned. Click here for more info or to here to book your stay at Sophie’s Hostel. Nicolas Hotel Residence, centrally located in the Mala Strana neighborhood of Prague, is a one minute walk from the Charles Bridge and a five minute walk from the Prague Castle. 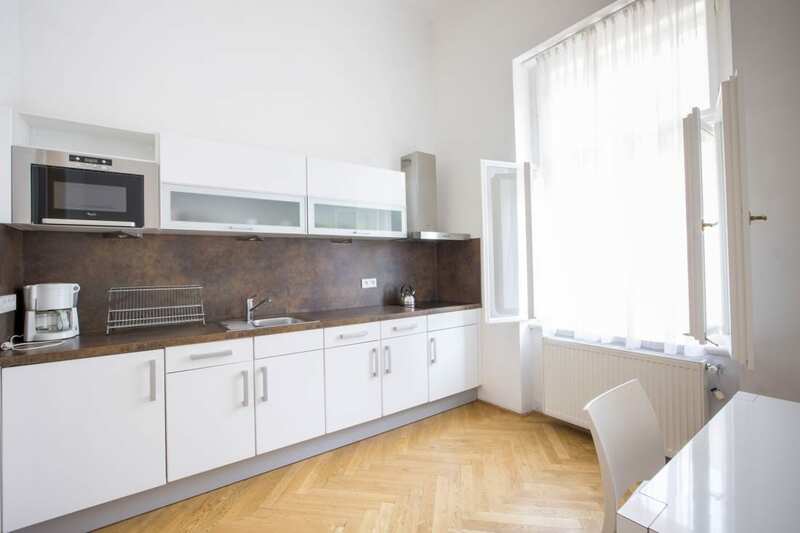 That alone makes it one of the best options for those looking for a rental apartment near Old Town in Prague. The hotel offers three apartments, two of which are Junior Suites that accommodate 4 people, and a two bedroom apartment that accommodates up to six people. The apartments are outfitted with wood floors, exposed beams, WiFi, and an in-room safe. Each has and private bathroom, Kitchenette and minibar, and free coffee and tea. Additionally, the hotel has six double rooms and one single room with a dining space and private bathroom. Guests enjoy a free complimentary continental breakfast buffet during their stay. The luxurious hotel also has a 24-hour reception desk and all apartments are non-smoking. 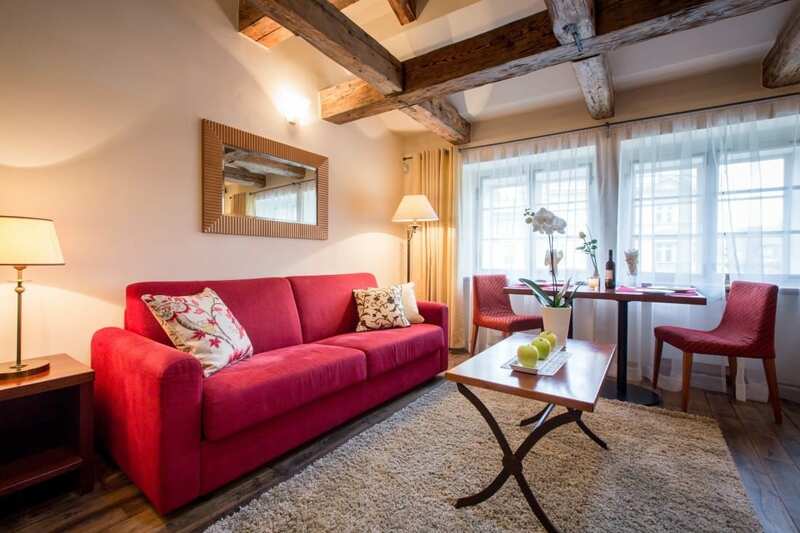 The Nicolas Hotel apartments are a great option for travelers who want to enjoy a luxurious holiday apartment rental in Old Town Prague. Low season prices start at €78 and €105 in high season. Click here for more info or to here to book your stay at The Nicholas Hotel Residence. So there you have it folks, our guide to the best holiday apartments in Prague. We hope to have given you some inspiration for visiting one of our favorite cities in the entire world! As always happy travels, and we’ll see you on the road!